Jon Tester, one of the top GOP targets heading into the 2018 cycle, will rest easy on Tuesday evening as he runs unopposed for his party’s nomination for U.S. Senate in Montana. It is the 13th time in state history that a senator from the Treasure State has not faced a primary challenger. Eleven of the previous 12 went on to win in the general election: Democrats Henry Myers (1916), Thomas Walsh (1918, 1924, 1930), Lee Metcalf (1966), Max Baucus (1996, 2002, 2008), and Tester (2012) plus Republican Conrad Burns (1994, 2000). Only first-term Republican Senator Zales Ecton was defeated – narrowly losing by 2.2 points to Congressman Mike Mansfield in 1952. Republicans, meanwhile, have four candidates vying for their party’s 2018 nomination led by auditor and former state legislator Matt Rosendale of Glendive. Rosendale – elected auditor just over one and one-half years ago – faces opposition from former Yellowstone County District Judge Russ Fagg of Billings, state senator Al Olszewski of Kalispell, and storage company CEO and veteran Troy Downing of Bozeman. It is quite likely that all four candidates will receive double-digit support in the GOP primary next Tuesday with the party’s nominee emerging with only plurality support. That would not be unusual for Republicans in a state where the party has rarely had the opportunity to rally around an incumbent for most of the last century – winning only five of 35 U.S. Senate races in the direct election era: Ecton in 1946, Conrad Burns in 1988, 1994, and 2000, and Steve Daines in 2014. However, just seven of the 35 GOP primaries for the office have been decided by single digits, with only three by less than five points. The closest primary by either party in state history was the 1958 Republican contest in which Anaconda millworker Lou Welch eked out a 0.6-point victory against Helena widow Blanche Anderson. Neither candidate was given a chance to unseat Senator Mansfield who defeated Welch by 52.4 points. While it remains to be seen how Tester’s reelection odds take shape after Republicans select and presumably rally around their eventual nominee, it appears that the two-term Democrat is not one of the most vulnerable incumbents of his party around the country, despite Donald Trump carrying the state by 20.4 points in 2016. Tester’s campaign was sitting on $6.2 million cash on hand ending the first quarter of this year. Previous: How Well Will the GOP Fare in New England’s 2018 Gubernatorial Races? 2 Comments on "Montana US Senate Primary: Preview and Historical Review"
1. “ …WIDOW Blanche Anderson” That is considered an occupation? 2. Aside from Bob Kelleher, “land baron” Wellington Rankin perhaps should be considered a “perennial candidate” as well? 3. 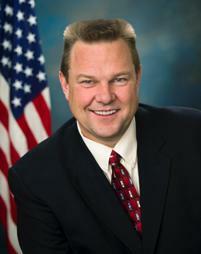 A mirror image to the inside track position of Tester might be those of three term Clarence William Nelson II and (appointed) first term incumbent Christine Flint Smith; each hail from states either barely won or lost by “45” yet (as of now) are seemingly in more precarious electoral positions than Tester. RE #2. Indeed, Jeanette’s brother Wellington ran for the US Senate five times: in 1922, 1924, 1934 (s), 1942, and 1948. He placed second in the primary in four of these, but won the nomination in 1942. ‘Perennial candidates’ is a phrase that usually connotes those who have had no success at the ballot box, so Wellington’s single primary win (as well as US House primary win a decade later) perhaps lets him off the hook.